Student gifts are great, but, what if you were able to give a gift that benefited your classroom for years to come? 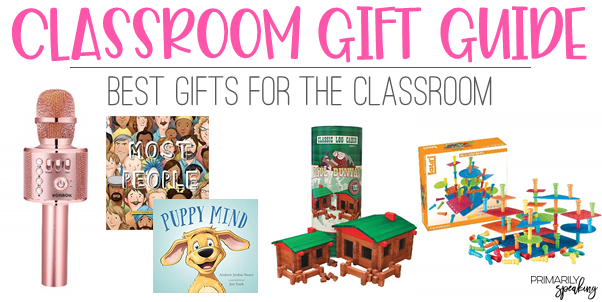 Last year I shared some gift ideas for the classroom. Purchasing a classroom gift benefits your current students, but doubles as an investment in your classroom for years to come. 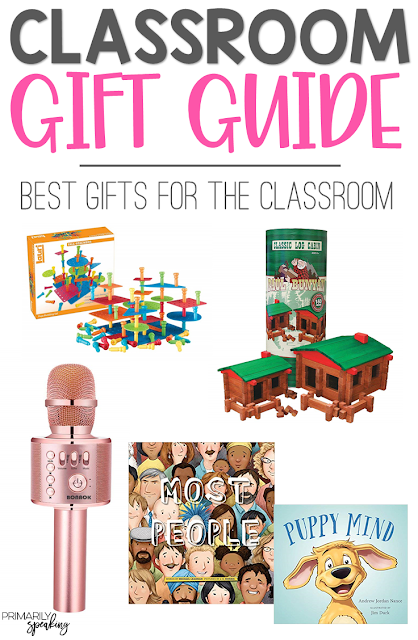 Read on for this year's classroom gift suggestions. 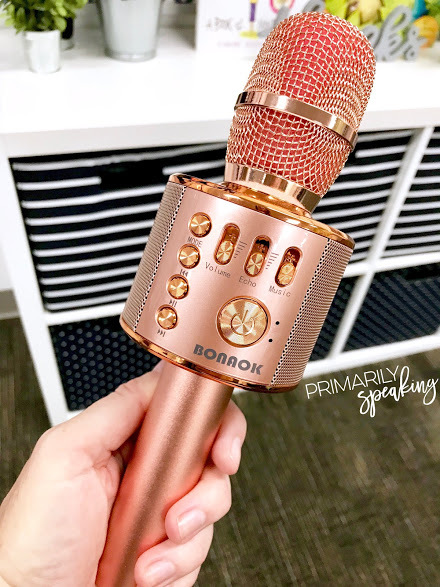 A class microphone is a great way to foster student participation. My kids love our fancy microphone. The student of the week uses the microphone throughout the week to share various information with the class. We also use it during the share time portion of our morning meeting. Click HERE to take a look at the microphone I purchased. Adding to your morning tub collection is a great classroom gift idea. 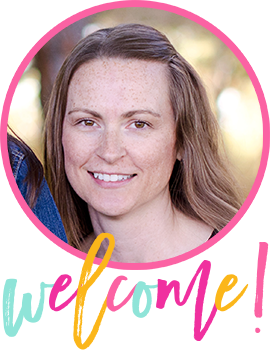 Your current students get to enjoy a new addition to their morning routine, and you get to build your collection of hands-on materials. Or, if you don't do morning tubs, then add some building materials like these to your free choice area, STEM bins, or Fun Friday collection. 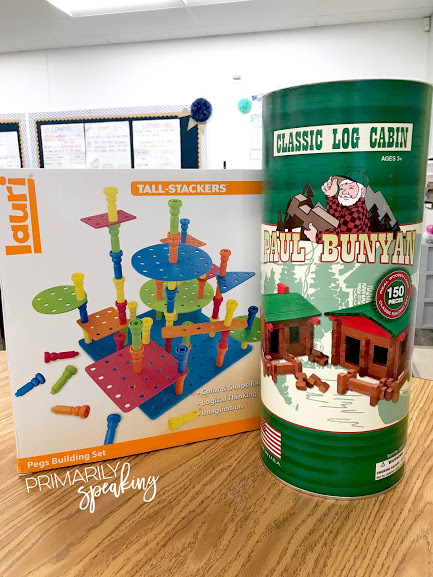 A tall stacking peg set or log building set are sure to be a hit with students. Mine can't seem to get enough of toys that allow them to build and be creative. I started using morning tubs this year. 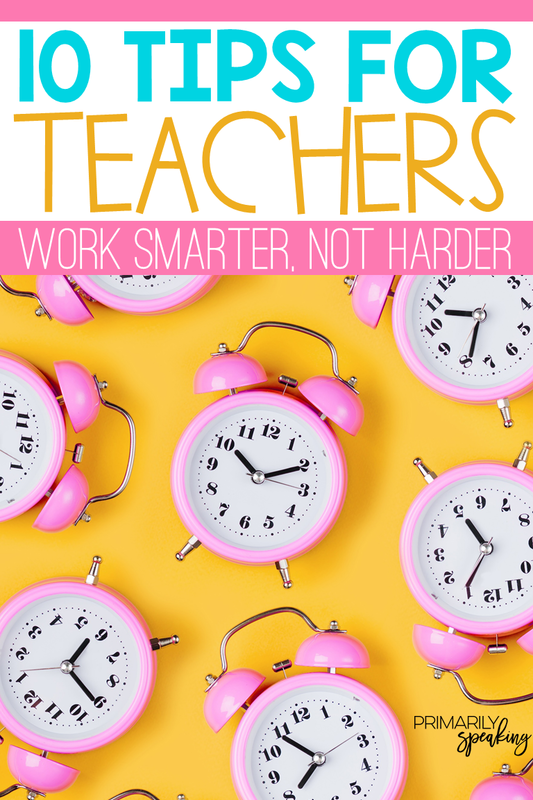 They are a great way to start the day, but more importantly, they give students practice with working together, sharing materials, and working on their fine motor skills. 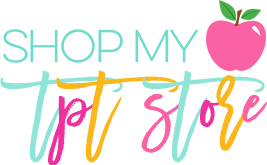 You can read all about my morning tub routine here. Click HERE for more morning tub ideas. 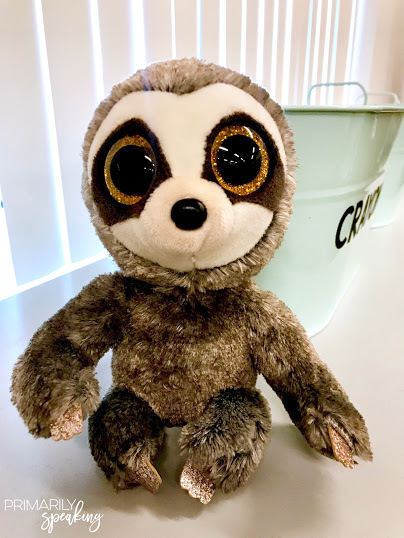 Get a new stuffed animal (we call them Reading Buddies in my classroom because the students read with/to them), or two, for your classroom. They'll get snuggled and loved on by this year's class, and after a quick wash, they'll be loved by your next group of students too. My favorite are the TY Beanie Boos with the big eyes. My students always comment on how cute they are. They love them. A lot. I never thought I'd accumulate a collection of stuffed animals for my students to use during "read to self" time. I used to worry about how yucky they'd get from all the touching, and I worried that they would be a distraction. When they do start to get yucky, I just throw them in the wash. And, they are rarely a distraction. My students seem to find comfort in snuggling the small animals as they read. Sometimes, they show the pages to their reading buddy (so cute). 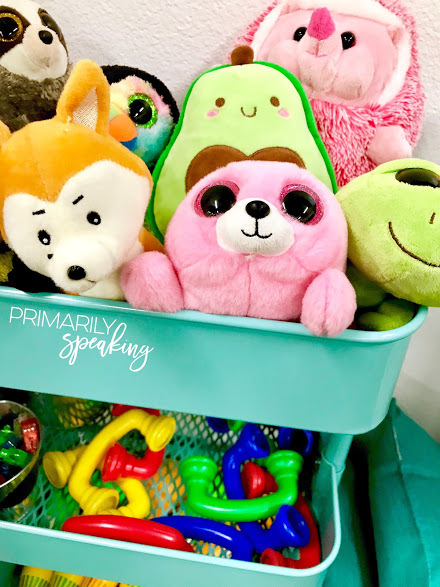 Beanie Boos (or any stuffed animals, really) are sure to be a hit with your students. 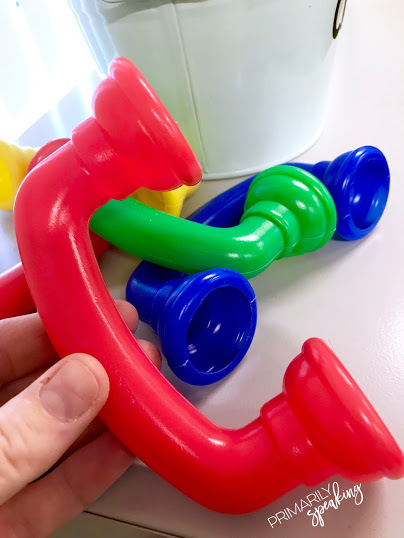 Whisper phones are not only good for use during guided reading, they are also great for your "read to self " time too. 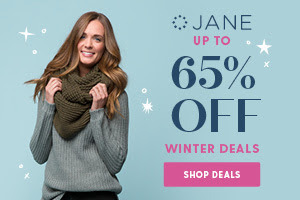 Even better, they are durable (and washable) and can be used year after year. My students love reading into the phones. They are also handy for those students who read out loud during tests. The whisper phones actually help them regulate the volume of their voice. I keep my whisper phones out where the kids can get to them quickly and easily (see below). New books to read aloud make the perfect classroom gift. Your students get to enjoy a wonderful story, but you get to keep the book and reread it for years to come. 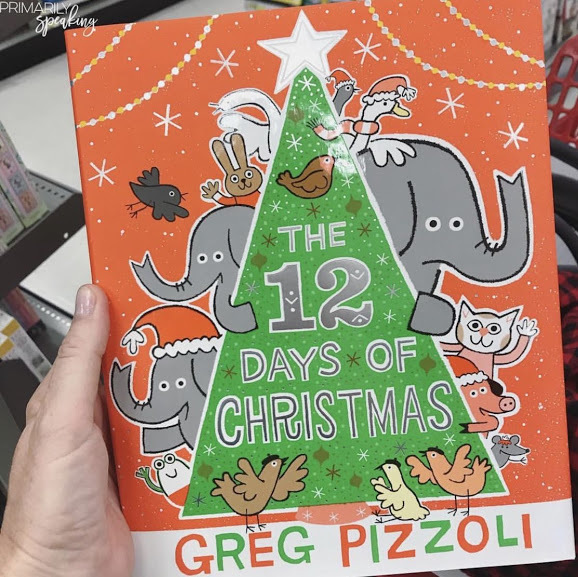 Also, don't feel like the books you gift to your classroom need to be holiday themed. They certainly could be, but maybe there are some other titles out there that you think your class (and future classes) may benefit from. 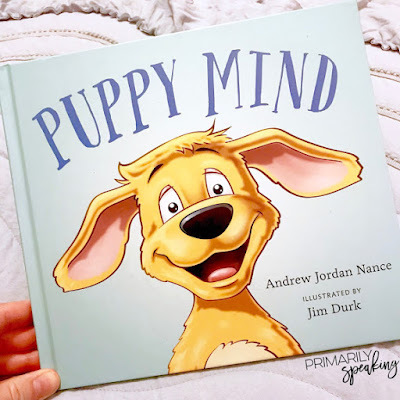 Puppy Mind is a great book to discuss being present. Kids' minds are often in 25 different places at once, making it hard for them to be good listeners and/or fully commit to a task. I love reading books like this to help facilitate discussions and strategies for being present, for being mindful of what's happening in the now. Best of all, books like this can be read anytime of year. I discovered Most People last year, and it quickly became a favorite. We are frequently bombarded with imagery and stories of people that focuses on wrongdoing. This can lead us to believe that people are the worst, that no one is kind, that we can't trust anyone. 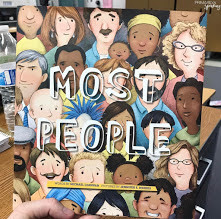 But, this book reminds the reader that there are lots of good people in our world. If you are looking for a fun holiday book, I discovered this version of The 12 Days of Christmas at Target last year. I just love the illustrations, and it's fun to read because the students are familiar with the song. You can find more read aloud gift ideas HERE. 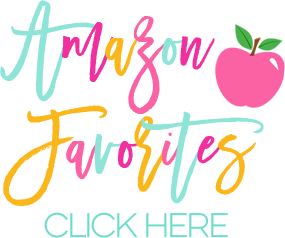 Before you feel like you need to purchase individual gifts for each of your students, consider investing in a classroom gift that benefits your current students, as well as your future students. It's a win-win! You can check out last year's Classroom Gift Guide HERE. 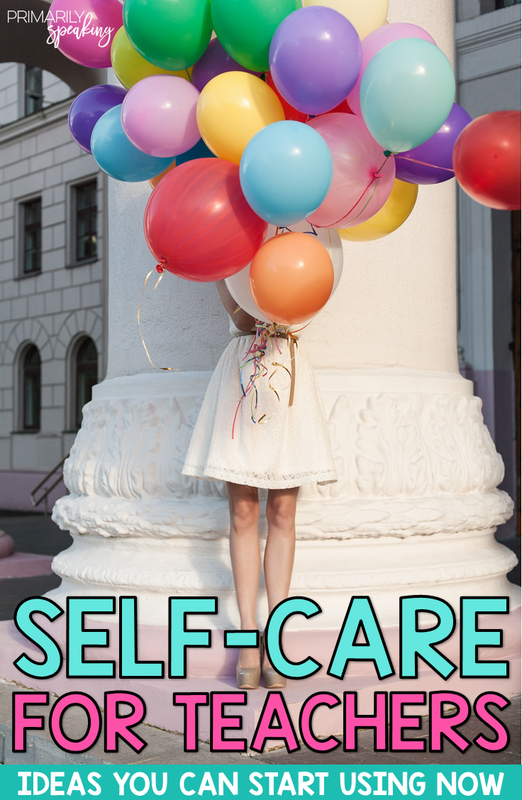 DON'T FORGET IT, PIN IT! !